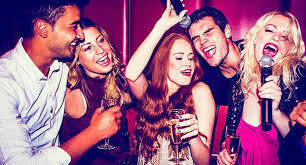 Going on a karaoke night is one of the most adventurous and fun experiences that you can have at an affordable price. Choose the nearest karaoke bar or buy a cheap karaoke machine to add a new flavor to the party. Singing to karaoke music is just one of the many ways you can have fun. Here are 5 new ways in which you can enjoy karaoke music with your friends this weekend. here. You can enroll yourself into one such competition and participate to be the best singer of the night. A few bars also put up your photo on their walls if you win the competition, while a few others have cash prizes for the winners.You can also set up a competitive environment amongst friends if you are out at a bar with a large group of people. This environment will really spice up the overall fun for everyone at the party. If you are hosting a family function, it is a good idea to let the kids be the judges of the karaoke competition. You can expect them to be a little bias towards their parents or their favorite uncles/aunts, but seeing the smiles on their faces is all the prize that you will need. In addition to being judges, you can also ask them to host the entire performance to add a new flair to the family gathering. Singing solo is an art that requires a lot of confidence. You will always have a few friends or family members in your group who are not entirely comfortable getting up on the stage to sing. You can invite them along to sing a duet or a chorus. This way, they can enjoy the party to the fullest without being too conscious of the environment around them. Modern-day karaoke machines come with a video camera that can record the singer on the stage. These awesome karaoke machines can help you create and cherish memories for years to come. If your karaoke machine does not have a camera, you can always record the experience on your phone and watch it later with friends to reminisce the good times. Today, with Facebook and Instagram, you can share your fun with the entire world. Instead of recording and uploading the karaoke music experience, you can share it with the world live! Invite all your Facebook friends and Instagram followers to see how you are having great fun with the karaoke music. When you are going to a party/event with karaoke, sing your heart out and enjoy. You don’t need to impress anyone there. Instead of being too self-aware, have fun and let yourself loose for a while. 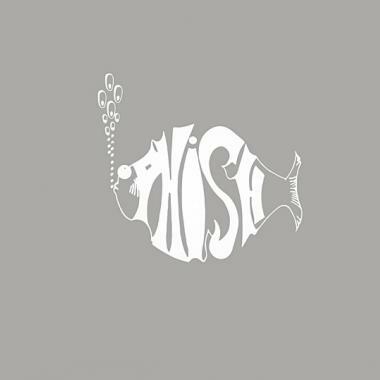 Phish is a rock and roll band from the United States that has been around for more than thirty years. The band is known for the great variety of music genres, awesome improvisation techniques and a huge base of fans that consider their passion for Phish a way of life. There was a pause in the activity of the 4 members in 2004, but they reunited later for more concerts. While the band concept was born in 1983, the band exists in its current format since 1985. These are the four members: Mike Gordons – vocals and bass, Trey Anastasio – lead vocals and guitars, Page McConnel – vocals and keyboards and John Fishman – vocals, vacuum, percussion and drums. In the 1983 formula, Jeff Holdsworth was a guitarist, but he was later replaced by Page McConnel. Music genres like rock (mainly progressive and psychedelic), country, jazz, folk, pop, blues, bluegrass and funk were adopted by the band. However, instead of focusing more on traditional folk like other groups, Phish is more focused on improvising using jazz as a starting point. While there were many albums released by the band, its huge popularity was mostly given by its live performances. The music is very complex and varied, with a lot of improvisation that can be clearly noticed by listeners. The first album was recorded in 1988. Its name was “Junta” and was sold in the form of audio cassettes. The band released its second album in 1990, called “Lawn Boy”. At this time, the fan base was already large and the band was popular on the Internet as well. But, before these two albums were released, there were other experimental cassettes distributed under names like “The White Tape” (1983-1986) and “The Man Who Stepped Into Yesterday” (1987-1989). In 1992, the third official album came out, called “A Picture of Nectar”. In the meantime, the first two albums were reissued. The popularity of the band continues to grow and its songs start to be popular in charts as well. “Rift” is the fourth album, released in 1993 and then “Hoist” was the fifth, in 1994. In ’95, Phish made a double disk called “A Live One” and in ’96, the seventh album called “Billy Breathes” came out. The following albums came out like this: “Slip, Stitch & Pass” in ’97, “The Story Of The Ghost” in ’98, “Hampton Comes Alive” in 1999 and “Farmhouse” in 2000. After this last album, the members of the band decided that they need to take a break. After the break, they released “Under Room” in 2002 and the thirteenth album called “Undermind” (2004), but the band broke up soon. In 2009, the members reunited for a fourteenth album called “Joy”. The newest album was released in 2014 and is called “Fuego”. Besides the albums, there were many other releases in the form of live representations, sets, documentaries and experimental films. There were hundreds of good songs from this band over time and the list would be too long to write. These are the most important: “Stash”, “Ghost”, “Brian and Robert”, “Run Like An Antelope”, “The Lizards”, “Sample In A Jar”, “Time Turns Elastic”, “Reba”, “Maze”, ” Slave To The Traffic Light”, “You Enjoy Myself”, “Bathtub Gin”, “Rift”, “Fluffhead”. “Chalk Dust Torture”, “Julius”, “Farmhouse”, “First Tube” and many others. For example, “Time Turns Elastic” exists on the album “Joy” and was meant to be an orchestral piece originally. “Fluffhead” was made for the first album, “Junta” and is one of the favorite of most fans. “First Tube” is a trippy instrumental song. In my opinion one of the greatest bands of all time! Nirvana was a popular rock music band that was formed by two Americans, Kurt Cobain and Krist Novoselic in the year 1987. Kurt Cobain was the genius guitarist while Krist was the bassist partner. The duo grew up in Aberdeen, Washington and met through a friend while at high school. Before settling for the name Nirvana, they had tried some other names like Skid Row, Pen Cap Chew, Bliss, Ted Ed Fred but eventually Cobain managed to convince his partner to have a simple and beautiful name, Nirvana. In the year 1990, a third member of the group Dave Grohl joined them to serve as a drummer. He was one of the longest serving drummers of the band. In the previous year, 1989, they had already recorded their first album called “Bleach” that was produced by Independent Record label Sub Pop. This album managed to sell 35,000 copies. During the making of this album, the duo incorporated Jason Everman who acted as the second guitarist and was actually the sponsor of the album. They developed a sound that was based on dynamic contrast, featuring quiet and loud choruses. In the year 1991, the band signed with a major label called DGC records where it produced its second album “NeverMind” which included the song Smells Like Teen Spirit. 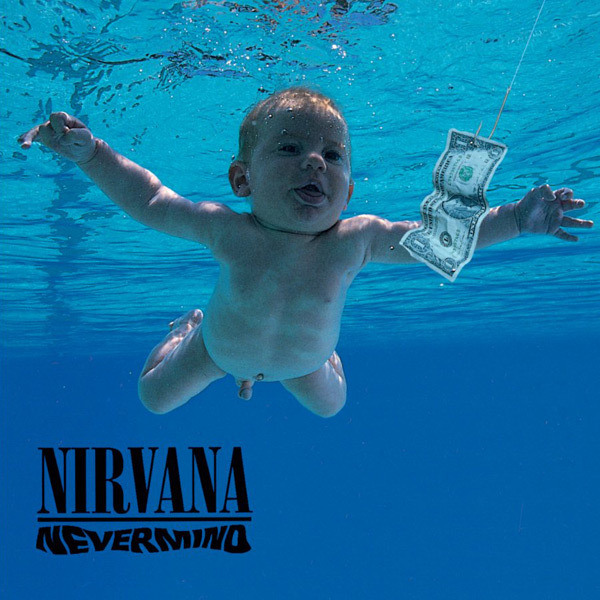 The “NeverMind” album sold a whooping 10 million copies in the USA alone. This band managed to popularize Alternative Rock among its fans especially with the song Smells like Teen Spirit which was referred to as the anthem of Generation X. This song hit the number one spot on the Billboard 200 Album Charts. It was during this time period that Nirvana came to referred to as the ‘flagship band’ of Generation X as well. The group’s spokesman Cobain later fell in love with Courtney Love, who was a singer in another band called Hole. The two later married in 24th February the same year. A local producer worked on the first album, Bleach, by the name Jack Endino. This album was characterised by heavy dirge- rock of the Melvins and Mudhoney, 1970s heavy metal of Black Sabbath and 1980s punk rock. On 21st September 1993, Nirvana released its third album called In Utero which became number one on its debut and contained the Modern Rock radio hits like Heart Shaped Box and All Apologies. This album did not have as many hits compared to the second album. Their last American Concert was held in Seattle Center Arena on January 7th 1994. This tour had started in October 18th of 1993. On 6th February 1994, Nirvana toured Europe. Cobain, who was the most outspoken of the trio, started abusing drugs. He became so addicted to contraband goods that at one point he was found collapsed in a hotel room while on tour in Europe. This band later disbanded after Cobain was found dead. The other members were so devastated that they decided to split up, bringing an end to an American Alternative rock band whose style of rock was Grunge that had enjoyed a lot of success in their years of prominence.